The IT Krew: What is antivirus software? Antivirus is a software program which prevents, detects, and removes malware, including computer viruses, worms and Trojan horses. Such programs can also prevent and remove adware, spyware, and other forms of malware. You can help your computer by protecting against viruses by using antivirus software, such as Microsoft Security Essentials. 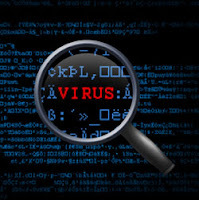 Computer viruses are software programs that are purposely made to find one way to your computer operation; record, corrupt, or delete data or spread themselves to other computers and throughout the Internet. To help prevent most viruses, you must update your antivirus software regularly. You can set up most types of antivirus software to update automatically. You can actually download free antivirus software from the internet if you do not have one installed already.